The Institute of Science and Technology for Ceramics is a public research centre belonging to the Italian National Research Council. 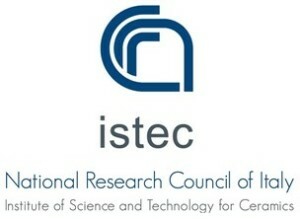 Over the last decade, the government funds that ISTEC receives from CNR were decreased and reduced to zero. The CNR ISTEC’s activities have been then increasingly oriented to the market, and the Institute’s resources are now fully dedicated to industrial research and laboratory services in cooperation with public and private stakeholders. ISTEC makes available to industry its technical and scientific capacity for the development of innovative materials/processes/devices and for the solutions of industrial problems due to environmental and operating conditions. Based on its expertise, ISTEC will thus be in charge of industrial networking activities for EUCERMAT.